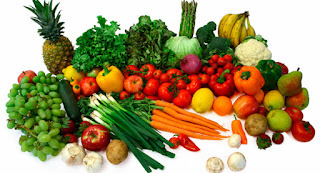 Organic foods are foods that are produced using methods of organic farming – that do not involve modern synthetic inputs such as synthetic pesticides and chemical fertilizers. 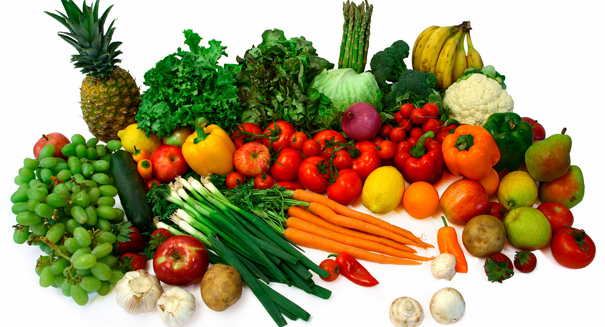 Organic foods are also not processed using irradiation, industrial solvents, or chemical food additives. The organic farming movement arose in the 1940s in response to the industrialization of agriculture known as the Green Revolution. Organic food production is a heavily regulated industry, distinct from private gardening. Currently, the European Union, the United States, Canada, Japan, India and many other countries require producers to obtain special certification in order to market food as organic within their borders. In the context of these regulations, organic food is food produced in a way that complies with organic standards set by national governments and international organizations. The “Organic” certification you see on a product means that it has been grown, processed and handled according to strict guidelines and procedures – at the highest level it means it contains no toxic chemicals. The Indian Organic Certification of Agriculture, Government of India set standards for the production, processing and certification of organic food. Organic food cannot be grown using genetically engineered seeds. Why would a seed be genetically altered? Our most common crops – corn, soy, cotton and canola – are often sprayed with heavy doses of pesticides that would otherwise even be damaging to the crops if their genetic structure had not been engineered to withstand these chemical substances. Organic farming returns nourishment to the soil, which in turn creates better conditions for crops to thrive during droughts. Healthy soil acts much like a sponge and filter, so it helps to clean the water passing through it. Organically treated soil also traps carbon – and less of it in our atmosphere means fewer effects from climate change. Organic food is grown without chemical fertilizers or pesticides, which can be leached from the soil and end up in water supplies. Mostly at their own expense, organic produce growers have paved the way with innovative research that has created ways to reduce our dependence on pesticides and chemical fertilizers – both often byproducts of fossil fuels. They also have led the way in developing more energy efficient ways of farming. For decades now, organic farmers have been collecting and preserving seeds – as well as reintroducing rare or unusual varieties of fruits and vegetables. It is mostly thanks to organic farmers that a large selection of heirloom tomatoes has become a common occurrence in grocery stores. Thanks to organic farmers, nearly every food category offers an organic alternative. That has even extended into textiles. You can now sleep on sheets and wear clothes made of organic cotton. The organic philosophy of growing believes that wildlife is integral to a farm. Organic farms do not displace wildlife – they embrace it. As U.S. farm production continues to consolidate, small family farms are in danger of disappearing. With its higher profit margins, organic farming may be one way for family-owned farms to thrive – and in turn, revive dying rural communities. There’s no argument that fresh food tastes better. Organic food often is fresher because is more perishable and has a shorter shelf life. Because organic food contains no preservatives and must be consumed quickly, it often is sold to grocery stores nearby. Chances are, if you eat an organic vegetable or fruit, you wouldn’t have to travel far to visit where it was grown. Visiting organic markets allows you to purchase seafood that is still abundant and fished or farmed in environmentally friendly ways. 13. Safer and More Humane Animal Products. Organically raised animals are not fed animal byproducts, or given antibiotics and growth hormones. And to increase their health, they’re given more room to move as well as access to a natural outside environment. Crowded living conditions are a leading cause of animal sickness and suffering.